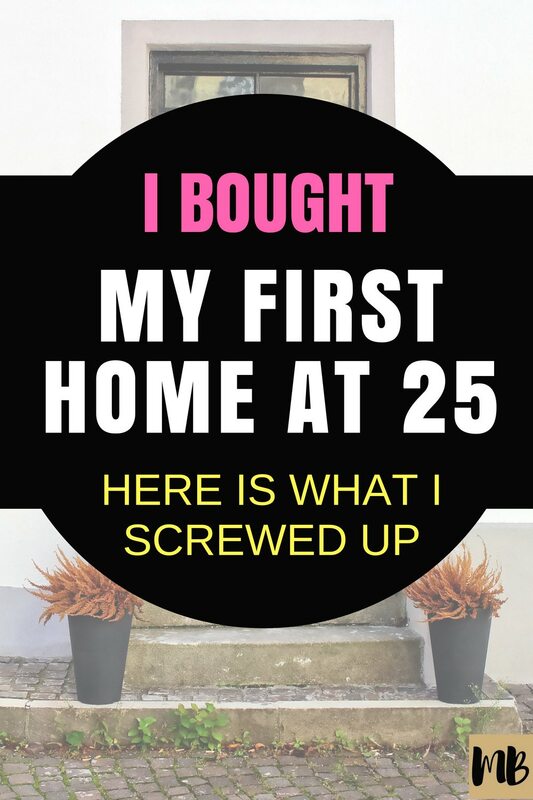 I bought my first home when I was 25 years old. Below are the top 10 lessons I learned from buying a house in my twenties. 1. Ignore the number on your pre-approval letter. My fiance and I made the mistake of getting loan pre-approval before figuring out our housing budget. We worked with a lender that our friend recommended and were happily surprised to see that we were pre-approved for a $560,000 loan. The number shocked us! While we knew that ultimately we would not buy a $560,000 house, we did let that price serve as an anchor to the price we ultimately bought into at $420,000. In retrospect, we should have bought a house that was less than half that amount. It seems crazy that I even let a lender influence our home buying decision. The lending industry significantly contributed to the last recession in 2008 and aren’t the best people to set housing budgets. I now realize that using the pre-approval amount as a starting point was a very unscientific approach to figuring out how much we wanted to spend on a home. My recommendation is to figure out your housing budget way before you even start worrying about getting mortgage pre-approval. My fiance and I lived in a less-expensive housing market. Most of the houses in our area were in the $200,000 range and salaries were low. When we bought our house at $420,000, we bought into the high-end of the market. Recently we tried to sell the house and realized that we had significantly limited the number of potential buyers since only a small percentage of the city was looking for a home in our price range. If we had bought into the $200,000 range, we would have had an offer much more quickly. Additionally, we didn’t look into the average days on market for home sales in our area. The high-end houses in our neighborhood typically took 2 months to sell. When we were purchasing our home, we were encouraged by our realtor to put in an offer on day 1 at asking price. It was so unnecessary and we could have came in with a lower offer at a later date and probably still got the house. We lost a significant amount of money with that one decision. Additionally, our home was the only house that we viewed in that price range. We had no idea if it was a good value or not because we didn’t see any other houses above $400,000. 3. Figure insurance, utilities, PMI, and maintenance into your budget. The online mortgage calculators that you see on Zillow won’t give you an accurate estimate of your monthly payment. For example, if you put less than 20% down, you’ll likely have to pay for private mortgage insurance or PMI. The PMI for our loan was over $200 a month. Additionally, we had to pay for insurance and utilities. Utilities were around $250 a month, a steep increase from the $100 or so we were paying in our apartment prior. Lastly, we didn’t think about maintenance at all. At one point, we had a water leak in our basement which cost us over $600 in damages. The house was only 15 years old so we had assumed that nothing would go wrong and we didn’t budget for repairs. 4. Consider what it costs to furnish and decorate a home. The furniture we had in our apartment didn’t make a dent in filling up our house. We now had guest bedrooms, a dining room, and a man cave to furnish! So we did what many homeowners do and bought a second TV and furniture with 0% interest credit cards. I thought I was being frugal by buying the floor models and furniture with small scratches to save money. The house still didn’t have that Joanna Gaines touch though after the furniture so I went to Target, Kohl’s, and Home Goods to buy cute decorations that made it feel more homey. I also bought blinds and lamps and boring things that I probably wouldn’t have wanted to spend money on but I thought were necessary. We also made trips to Home Depot for paint and lights and other items to fix up the house. Eventually the house looked pretty good but we owed nearly $10,000 in 0% interest credit cards. It would have been way worse if we didn’t try to save money along the way. If I could do it over again, I would have saved for fixing up the home ahead of time and paid in cash. Many homeowners just focus on saving for a down payment but forget to save for the paint, repairs, furniture, and decorations that come along with personalizing a new home. We’ve since paid off the debt but lesson learned. 5. Think twice about location. I was surprised to find out how inexpensive homes were in our area compared to the East Coast where I had lived prior. The reverse sticker shock encouraged us to buy a much bigger home than we could afford. I also was commuting daily to a much bigger city 50 miles away and had that higher city salary to help us pay for the bigger home. We ended up purchasing this beautiful house in the suburbs. 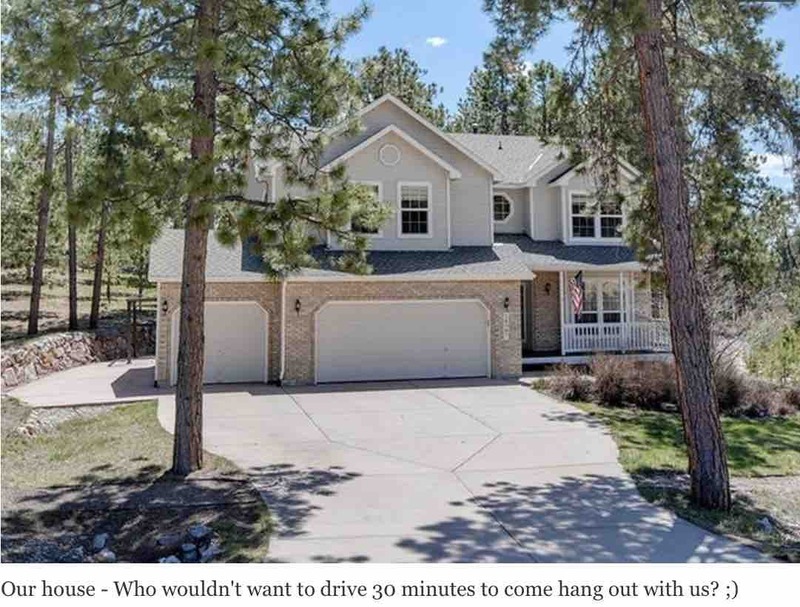 Our friends in the area didn’t always want to travel the 30 minutes out to the boonies where we lived despite the awesome fire pit, big TV, home gym, and huge open kitchen that we had to try to lure them. They would come by for dinner and drinks a few times a month or the occasional workout on the weekend but usually it was us traveling back closer to town to hang with them each weekend. We would typically bring dinner over to their place or go grab drinks at a nearby brewery a few nights a week. I already had a long daily commute and now I had a long weekend commute too. When we bought the home, we considered the “great space for entertaining” as a a major plus without really thinking about the location and how often we would use that space. Plus, when we bought outside of our age range we isolated ourselves a bit. Our neighbors were all retired folks or families. While they were super nice and helpful, they weren’t in the same life stage as us and we didn’t make any friends in the neighborhood. If I could do it again, I wouldn’t buy a home out in the suburbs until I’m at that stage in life. We recently moved to a new city and are living in a crappy apartment that is walking distance to everything. I’m much happier and have cut down on commuting costs by selling my car. It’s easier to hang out with friends and meet new friends. Location is everything. 6. Slow down the lenders. When you’re shopping around for a mortgage, you will notice that lenders are jumping to get their hands on your SSN. I was a little surprised about how quickly into a conversation that lenders would ask for our SSNs. I was like hey – shouldn’t we get to know each other first? Nevertheless, shopping around for the best mortgage rate is a crucial part of buying a home but it shouldn’t be your first step. With good credit and a decent debt to income ratio you will easily get approved. I am actually shocked with how easily we were approved for that first loan. We had over $60k of debt and only $110k combined household income at the time yet were approved for a $560k loan. WHAT? How does that make any sense? At the very beginning of our home search, our friend recommended a lender and we decided to give her a call. In that first conversation, she casually asked for our SSNs so she could pull the numbers. She didn’t tell us that it would be a hard inquiry. She didn’t ask when we were planning on purchasing a home or suggest that we get our ducks in a row on budget and purchase price before getting pre-approval. She just wanted our SSNs and the potential business. When we eventually were ready to purchase our home a month and a half later, we were outside of that window that the credit reporting companies usually consider when shopping around for mortgages. Interest rates had gone down and we decided to go with a different lender recommended by our realtor, so we essentially had a double hit on our credit score. (More to come on referrals). The hard inquiry from the first lender, along with the subsequent hard inquiry from the second lender dropped our score just a few points lower but it pushed us below the threshold for the best rates (760+). Even a small percentage difference in an interest rate can lead to thousands in lost savings over the life of the loan. 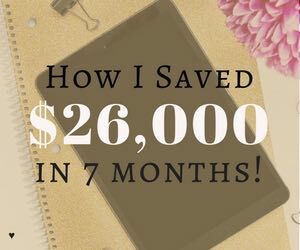 If I could do it over again, I would educated myself on the types of home loans, start following interest rates, and have a concrete plan before I gave out my SSN to lenders. I also would have shopped around for the best rate. 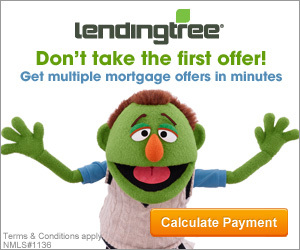 We only looked at two lenders when there are sites such as LendingTree that allow you to compare many lenders at once. 7. Understand how referrals work. Real estate is still a word of mouth business and referrals are everything in this world. Likely your realtor, lender, appraiser, and inspector are all working together and get kick backs for referring you to each other. This creates a conflict of interest that is not good for your wallet. So many people are clueless when it comes to buying a home that they just go with referrals without further thought. It’s possible that the referrals are rockstars – I just wish I had done more due diligence the first time around to figure that out for myself. 8. Field a team that supports your unique goals. I’m surprised I took our realtor’s advice and made an offer at asking price because I had been researching fairly extensively online and had a strategy. For all the houses that we visited and liked, I had been going through county property records recording the purchase date, price, and original loan value. I would then use an online amortization calculator to determine how much equity the owners had in the house and compare that to the asking price. I assumed we would have more wiggle room on purchase price with owners that had a significant gap between what they owed and asking price. It would be harder to negotiate with owners that still had loan values very close to asking. The commission and closing costs would eat into their profit or even result in them owing money on the sale. When I mentioned this strategy to our realtor, she quickly retorted that it wasn’t a good approach and that the market guides the price. I know now from selling my home that it was probably a good strategy. Home owners under pressure to sell are very aware of how much money they owe on the loan, how much they have in equity, and how much lower they would drop the price before they lose money. We just dropped our price significantly and ate away at our equity just to walk away from the house. I now realize how important it is to field a team that supports your strategy. If I could do it again, I would find a realtor that understands and supports our unique goals. 9. Have a long term plan. When we bought our home, we had every intention to stay in the area for the next 5-10 years. Then life happened and I got a great job opportunity on the west coast. We found ourself selling our home after owning it just two short years. 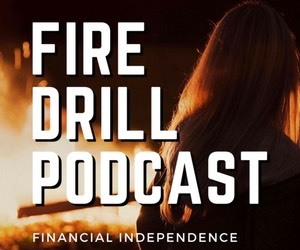 We had little equity after just two years of home ownership, almost no appreciation, and we needed to pay out commission and closing costs which were over $25,000. Our home would not make a profitable rental. We knew up front that this house was not our forever home yet we jumped into home ownership anyways. In hindsight, I would have rented for a few more years or purchased a home that would be a little easier to rent or sell if we left the area. Not every home is an investment. 10. Remember that home ownership can be stressful. There were so many times when my fiance and I regretted buying this house. Yes, there were the good times like when we hosted both of our families for Thanksgiving dinner, when we had friends over for summer BBQs, or when hosted friends for an annual Fourth of July trip. There were also the bad times though when we got into disagreements over finances, when we spent our free time cleaning or doing yard work, or more recently dealing with shady contractors when preparing the home for sale. Sometimes we felt trapped in our decision and stressed out. We weren’t prepared for the emotional ups and downs that come with home ownership and I wish we had considered that when we bought the house. Overall, I’m grateful for the lessons I learned and will probably own a home again at some point in my life. For now though, I’m renting. 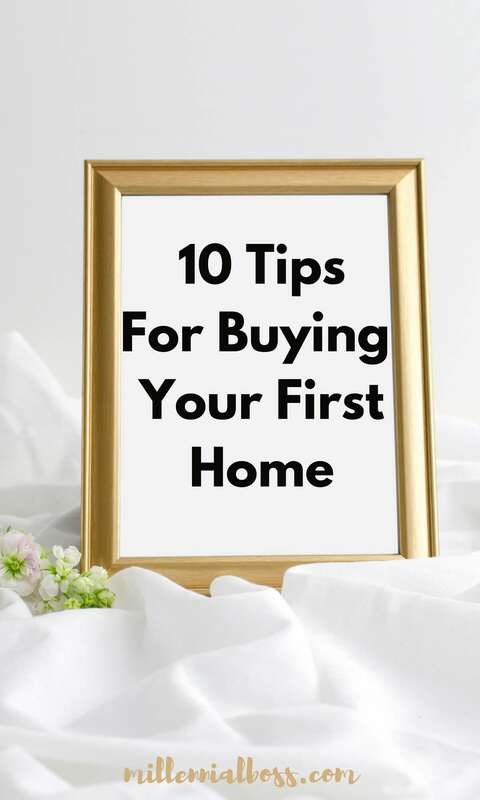 Do you have tips for first-time home buyers? What do you think of the lessons I outlined above? Yeah, I know. Not the position you want to be when you’re negotiating. Thanks for sharing. This post is getting saved to Evernote and will come up again whenever I’m finally in a position to purchase a home! Glad you liked it! And that is exactly what happened when we bought our house! Everything seemed like such a steal. We lived in a 3600sqft house for what my sister paid for a crappy apt on the East coast. Lesson learned. Don’t compare apples and oranges. Completely agree on the investment front. Yeah we got a tax deduction from the mortgage interest and had a roommate to cut costs but ultimately we would have been better off renting. Maybe if we held the house longer it would be better but we decided to sell because it wouldn’t make a good rental. Congratulations on the new job! 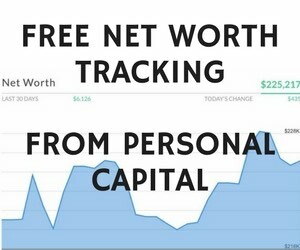 I want to own a house for income opportunities in the future and will visit this page back for new tips. Studying the market I think is an especially important one, more knowledge is more power! Your strategy that you’ve outlined above seems to be a solid one for any purchases that are huge. Looking at the purchase price / home equity spread isn’t something that I would have thought to consider, but learning day by day! Finding leverage in negotiation is something I am working on.. Thanks! Glad you liked it! Hope that if/when you purchase a home you don’t make the same mistakes! Interesting tips! 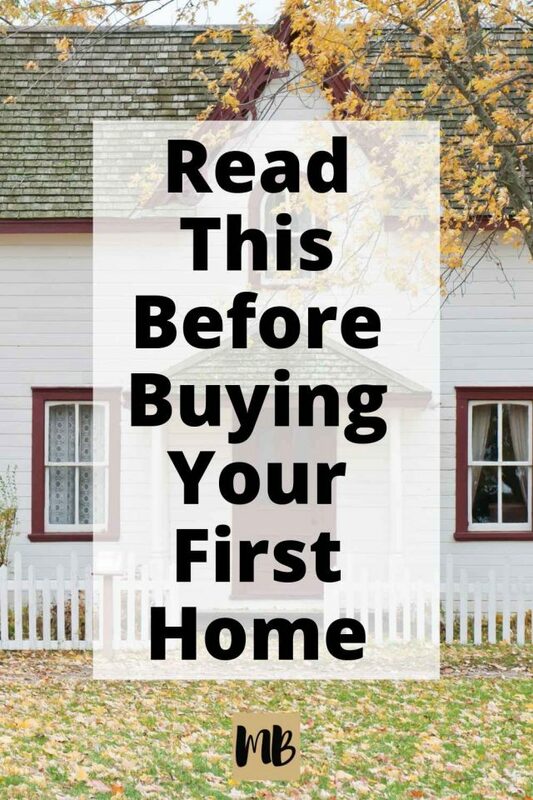 As someone who has never owned a home (and doesn’t know much about it), this is very helpful! Set aside a good-sized chunk for home improvements! After having the 20% down, having another chunk of cash for various improvements could keep someone from dipping into a HELOC. So true! Wish we had done that! Some great advice you’ve put there, I think the first point is particularly important. I remember when my fiancée and I got told by the bank the amount we could borrow and we couldn’t believe it! After a moment of madness looking at what that would get us we came back to reality and eventually only borrowed less than two thirds. You have an absolutely stunning house by the way!! Thanks! You can see why we fell for it! Hoping it’s not my house much longer though! Oh man…… this whole post is bringing back some bad memories from my house hunting days! Thanks for writing this. I need to go thank my realtor friend for being awesome! Now that is a lovely house indeed! I wish such houses existed that were affordable here in SF. I downsized to a 1,910 sqft house, and am building a 250 sqft deck and love it though. We face the pacific ocean and can see the sunset every day! Sounds pretty amazing! We just moved to the Bay area actually and had to significantly downsize too. I’m loving it though! It’s a great place to live! PMI is a killer. We had to go with an FHA loan. My in-laws were about to be homeless, and I saw no sense in helping to finance rent for them somewhere (and definitely having to co-sign to get them an apartment at all) rather than just pay a mortgage. But in our very low mortgage, PMI was about 1/3 of the cost. It was ridiculous. We refinanced three years in. It added some to the mortgage, but now we have that extra money going directly to principal. Utilities are huge. People should make sure they try to find a place with good insulation and double pane windows. We live in Arizona and all four of us are home all day every day. So we’re cooling constantly during peak hours in the summer. Our bills were up to $400+ our first year here. We had to put $3,500 of insulation to staunch the hemorrhaging. So make sure the house is well-insulated, especially if you live in a non-moderate climate. And if you live in a hot climate, choose a place with plenty of ceiling fans and, if possible, tile floors. Great points about the insulation and the tile floors! I never thought about that before we got our home and it makes a huge difference. I think calculating time to friends/activities is a huge factor. We bought a much smaller home that was very close to work, friends, and the city, rather than stay out in the ‘burbs with our monster commute. I never, ever want to have a 2-3 hour roundtrip commute again. Me too!! I eliminated my commute with our latest move and it feels so great! All great times, and most of them completely relevant in Australia too. People talk about that owning a house is the best thing you can do, seems to be the best way to spend a bunch of extra unaccounted for money! That was meant to say all great tips, oops. It all balloons into this great expense! 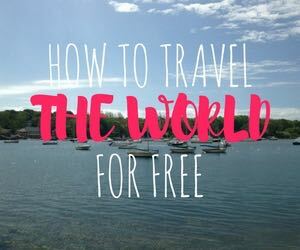 I’m sure there are people who do it frugally and don’t get caught up in the stuff that adds on money but unfortunately we did! Millennial Moola recently posted…When Was the Last Time I Paid For a Haircut? Of course. Ugh frustrating. We keep asking our realtor to do small things and feeling bad and then I remember he’s getting (20k+) out of this deal (it’s his buyer too). If we hadn’t moved out of state and I wasn’t starting a new job I would have had more time to do it myself. #9 ‘Have a long term plan’ is so important. This is a good financial decision to buy the house IN THE LONG TERM. The argument between buying a house and renting is only very much favoured towards buying a house if the purchase is in the long-term. All of this is to say that if there is a likelihood to leave a new abode in the short term, then buying a new house may be a huge mistake. I really like how the article pointed out that you should consider the total costs associated with furnishing a home. My wife and I have been looking at some homes for sale in which we can move into later this summer, but we haven’t included furnishing costs in our budget. This is helpful since I don’t want to end up overspending our budget on a home by failing to include decorating costs into the overall cost associated with owning a home. This is great information on buying a home! My wife and I want to buy our first house this year, but we want to make sure we are prepared. Thanks for mentioning to make sure you add extra costs like insurance and maintenance into your budget. I never thought about that, but it would mean the price range of homes we would be looking at would change. I will be sure to keep that in mind. That’s a good tip to pay a lot of attention to location. A commute can really add wasted time into your week. I have kids, so I want a home that’s close to their schools and my work. I really like that you gave the tip to think about the extra rooms you will have, and how you are going to fill the spaces with furniture. My husband and I are going to be moving from our apartment to a home within the year. I never really thought a lot about the cost in furnishing the empty space, so we will definitely be taking that into consideration as we search for our home. I appreciate that you mentioned to think about closing costs, repairs, and maintenance when making a budget. It makes sense that you would want to make your budget as accurate as possible, and that means thinking about all the costs involved. My wife and I are hoping to buy a home this year, so we have been trying to figure out what we need to know. These tips should help, thanks a lot! Could not agree with more more! 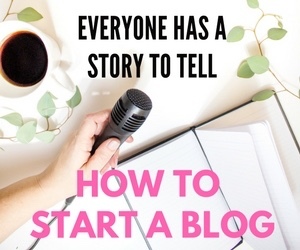 Nothing teaches you more than doing a thing for the first time and from experience I would always suggest that one should have enough money to pay for the down-payment and a good debt to earning ratio to pay for the monthly installments, that is the first and most important step. Some very nice info here, Julie. Thanks. I’ll be aware of these things when the time comes! I really like the point you made about paying attention to where you will be located. It can be nice to have a bigger space in a quieter neighborhood, but nobody wants to go all the way out to the suburbs to hang out with their friends. I used to live in a smaller town about 40 miles away from where all of my friends lived, and I was always driving out to see them every time. I really hope people keep that in mind when they’re looking to buy a home. This is certainly going in the bookmarks for myself. I am almost 27 and hoping to buy within the next 2-3 years, maximum. I have just recently begun to really do some research and start getting an idea of what I will be getting myself into. At this point in time, I will be buying as a single/sole first-time homeowner, so if nothing else drastically changes, I will be going into it alone. Fortunately, I am pretty settled in my current area and this is where my friends are and my family is only 40 minutes down the road, but I’m still stuck renting for now. Thank you for the insight. My wife and I have decided to stop renting and get our own place. The first try is always the most daunting one, I reckon. Whether it be as simple as driving your first car to as big as buying your own place. Don’t use all your loan money for the house. If anything, I would encourage anyone that you shouldn’t be afraid nor be embarrassed to negotiate! It’s a way to save money which you can use for much more things. Thanks for the great tips! I like that you mentioned to add closing costs and other expenses like utilities into your budget. It makes sense that those things could really add onto the total amount you will be paying, so you would want to prepare for that. My wife and I want to buy a home, so we are trying to get prepared. I will definitely keep these things in mind as we get started, thanks. I like what you said about incorporating insurance and utilities costs into your budget. I hadn’t thought about that, but it makes sense that you would want to be prepared for all the costs involved with buying a home. My wife and I want to buy a home this year for our family to grow in. I will definitely keep this in mind as we plan our budget, thanks. My husband just graduated medical school and we are finally ready to buy our first home. I like what you said about also accounting for the cost of insurance or PMI. Neither of us are very good at these types of things so I think we are going to have to hire a real estate agent very soon. Hiring a real estate agent is the best thing you can do, honestly. My wife and I recently bought a home in Sydney with a little bit of help of a buyer’s agent – http://auspropertyprofessionals.com.au/ and he saved us a lot. My wife and I are at the point where we have the income to buy a home. I agree that we should make sure to save up and put at least 20% down on the house that we are buying. Doing so would ensure that we are able to go and afford the payments over time. My wife and I want to buy a home next year so thanks for these tips. I like your point about choosing an area that fits your lifestyle. We’ll be sure to find a house that is close to work and school to make commutes easier. Totally agree that you should think twice before choosing a location. You don’t want to spend three hours a day getting to work, do you? Thank you for pointing out that when it comes to buying a house you also need to consider how you are going to furnish it. My fiance and I are wanting to buy a house and need to find the right one for us. I’ll have to do some research and find the best real estate agent in our area to help us with this. Excellent advice! However I do have to make mention of the referrals comment in #7. I am a licensed agent and where I am located getting kick backs can actually get your license revoked. I can’t speak for every agent, but I personally do offer referrals to trusted vendors. Mainly because I trust their work and I have a relationship with the person so I can call them if a deal ever starts to go off track or I need an update with the status of something. I am not allowed to gain anything financially from my referrals. Thank you for sharing your first hand experience in buying a house, I seriously learned something from it. All the best!